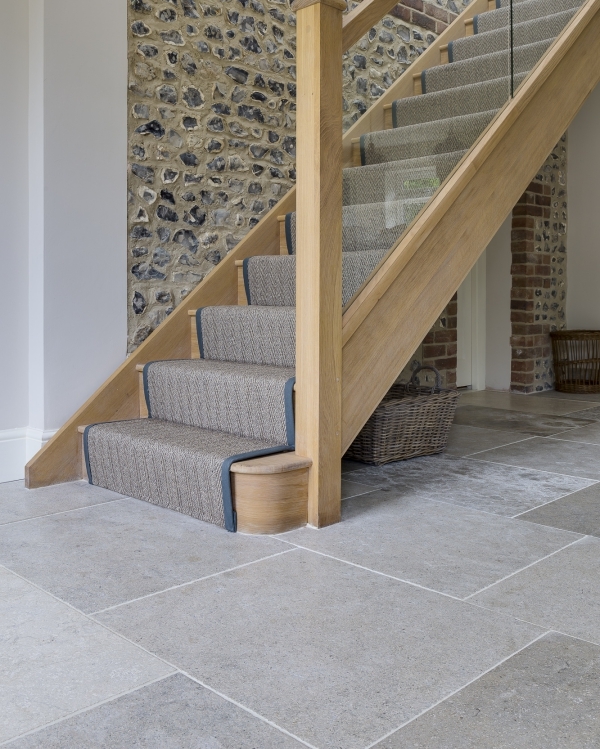 Full range of stone types in this farm house restoration. 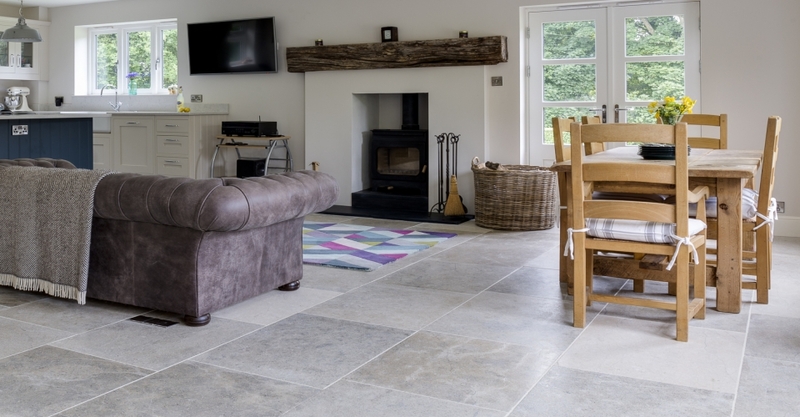 This new family home was designed by the client who wanted interior stone to complement the grey flint from which the house was built, not just by colour but by finish and texture. 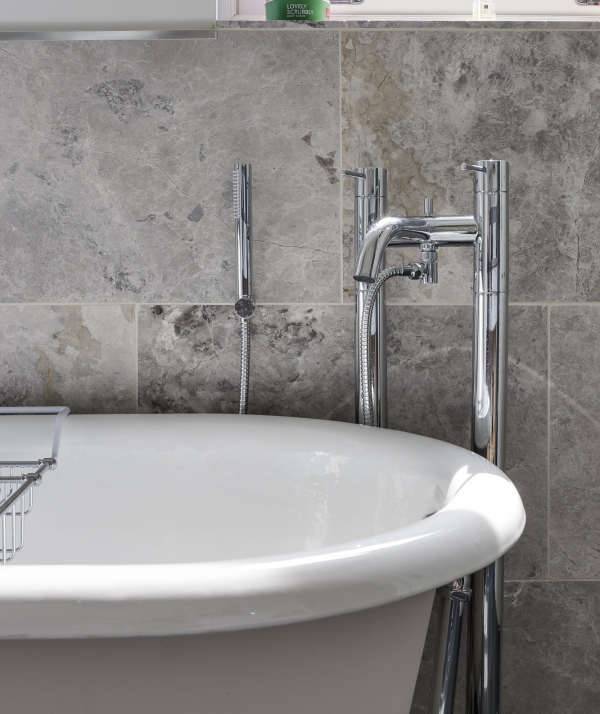 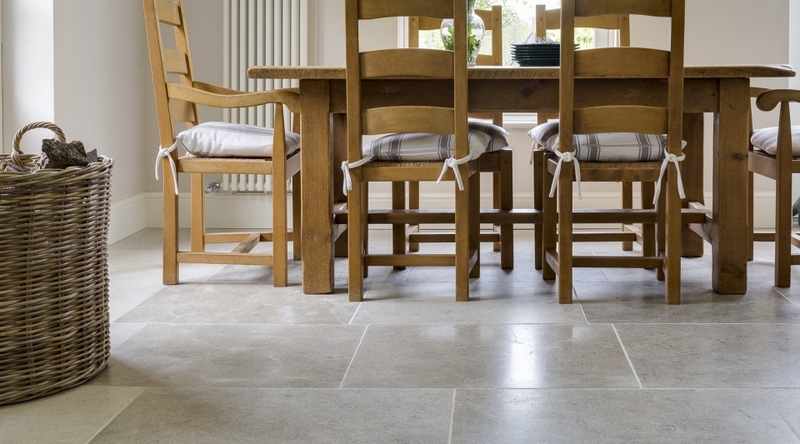 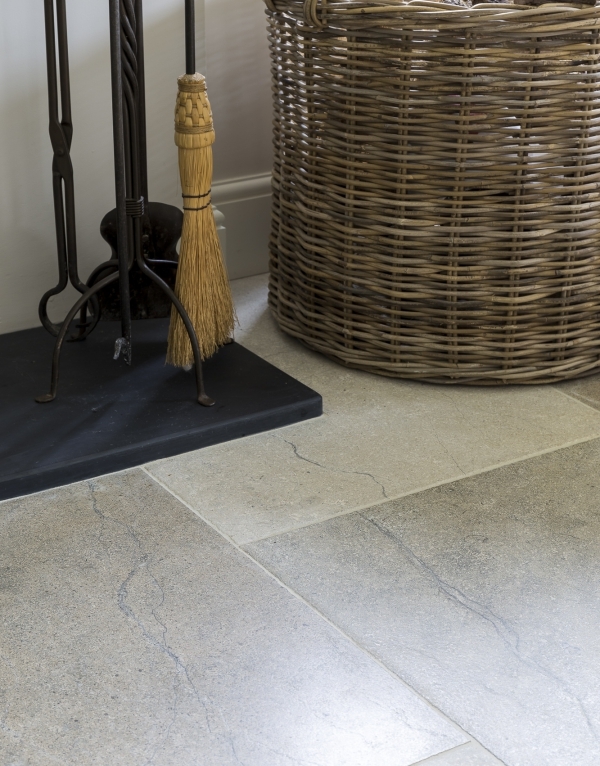 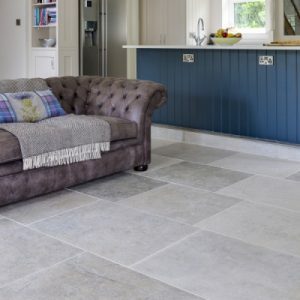 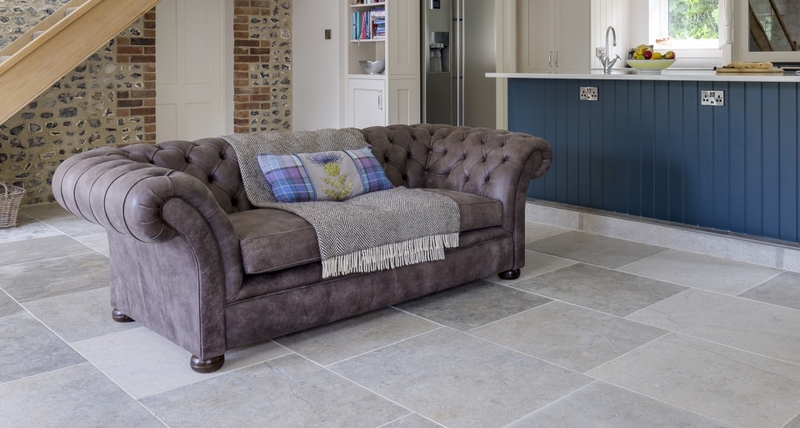 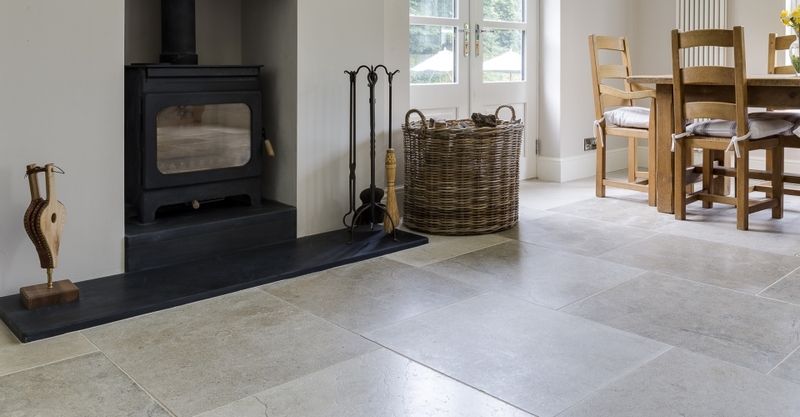 We recommended Bergerac for the open plan kitchen, living room and hallway – a striking steel grey limestone that has plenty of character in the shell markings and veins. 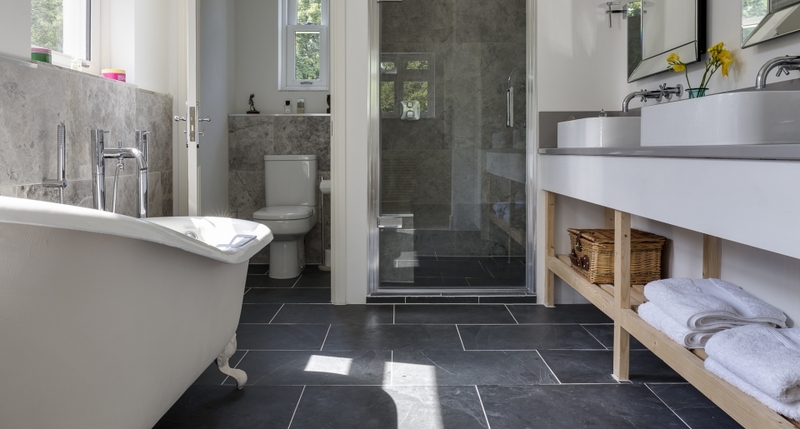 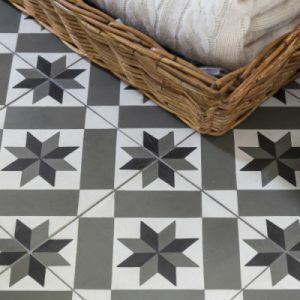 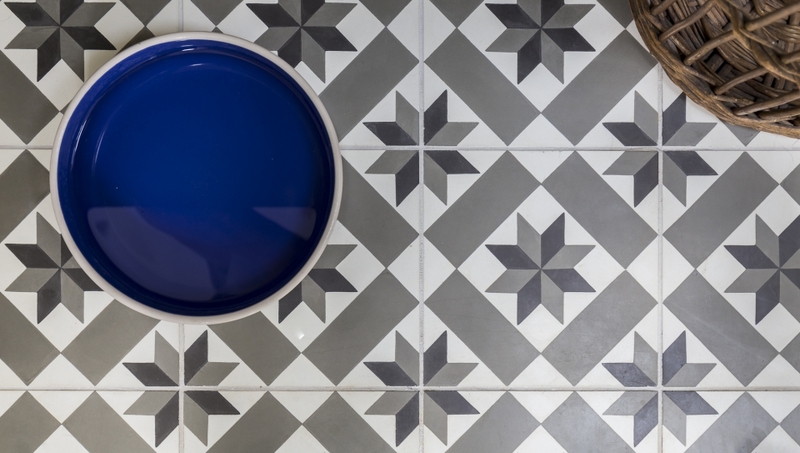 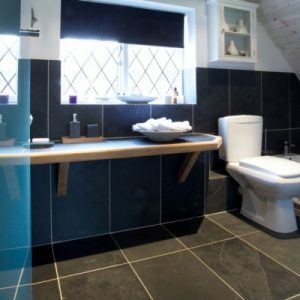 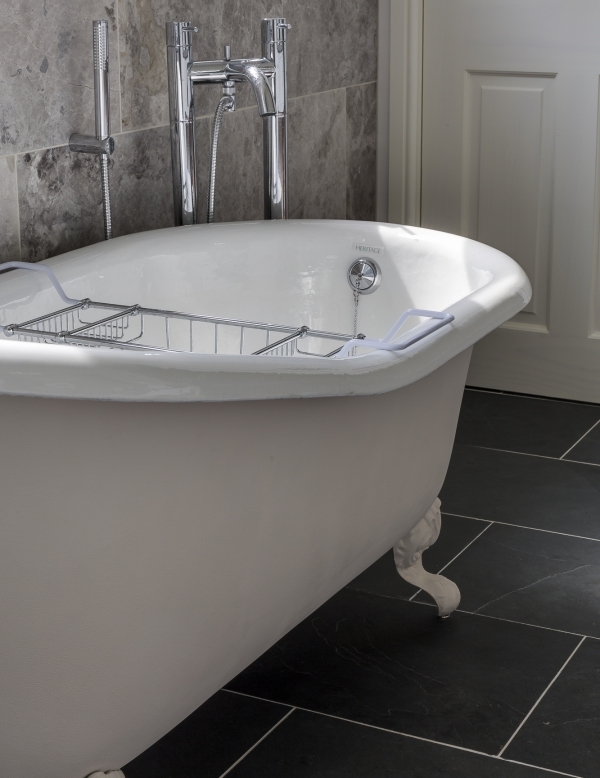 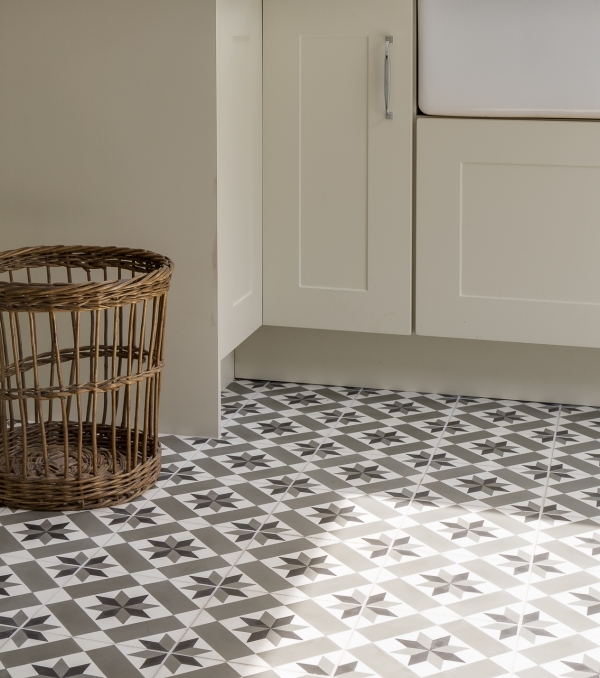 We used a combination of Ashford marble and Radcliffe slate in the master bathroom, while our hand-made encaustic Chelsea tiles with a plain ivory border tile add an exuberant touch to the utility room.